Private apartment (562 sf) downstairs from family on 23 acres, separate bedroom with queen bed, walk-in closet, dresser, full kitchen with breakfast and dining table, bathroom with radiant floor heat, quiet cork flooring, wifi, and TV/DVD. We are right next to hiking/biking/running trails which connect to the valley trail system. 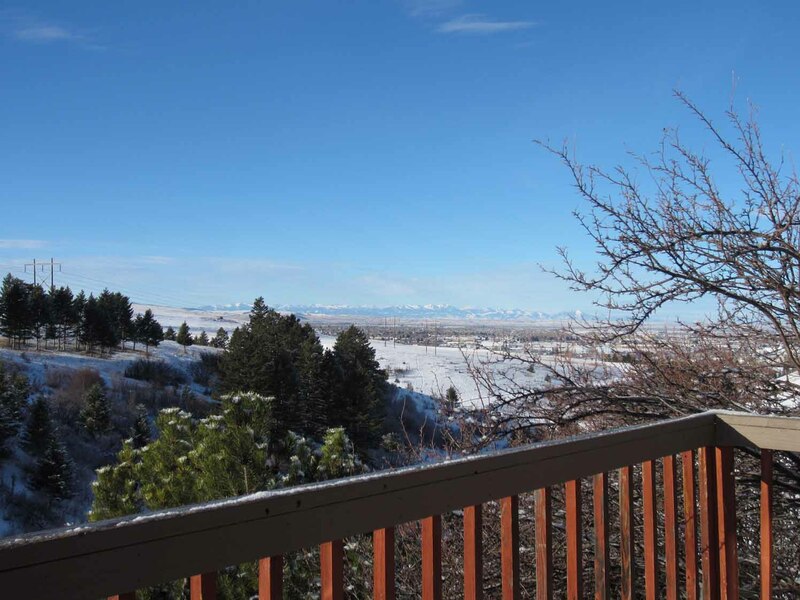 We live in a peaceful rural setting with views of town and mountains. If you are interested in outdoor activities in an educated mountain town, Bozeman in southwest Montana is ideal. We are ten minutes from town, twenty minutes from our local downhill ski area and from an Olympic-class cross-country course as well as one hour from Big Sky and Moonlight Basin Ski Resorts. We encourage you to visit our first national park, Yellowstone, filled with geysers, bison, wolves and grizzly bears. It is truly spectacular.